Hello and welcome to my Yokohama Avid Ascend review. Reduced CO2 emissions are the craze right now – almost every car manufacturer spends millions into making their vehicles more efficient, and in turn, less harmful to the environment. 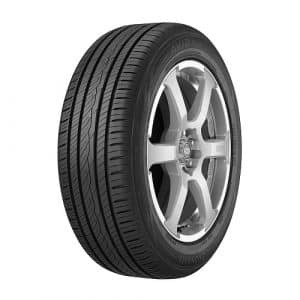 One very important part of that are tires as well – a car is only good as its tires are. That’s why, tire manufacturers also spend ridiculous amounts of money to develop new technologies that will reduce the resistance, while also keeping other qualities intact. Today almost every serious tire manufacturer has a low-rolling-resistance tire in their arsenal, and of course, the powerful Yokohama is no exception. This is their best-selling tire and there are several reasons for that. First of all, it’s a touring tire, which means that it’s applicable to a lot of different types of vehicles. In other words, every owner that uses his car for long highway driving, and for hauling around their families, should consider a touring tire because of durability and comfort. One of the most popular touring tires with low-rolling-resistance on the market today is the Yokohama Avid Ascend, and for a good reason. The Japanese manufacturer included almost every advanced tech they have into it while maintaining lower price than comparable products from other premium manufacturers. The Avid Ascend is a premium tire in the Yokohama line and it gets the tread compound with Orange Oil technology that brings several benefits to the driver, such as long tread life, excellent performance in any wet and dry conditions, and maintaining pliability in the winter. The BluEarth eco-friendly certification means that this tire is of the low-rolling-resistance variety, so you can expect better mileage as well. Yokohama really packed the Avid Ascend with features. 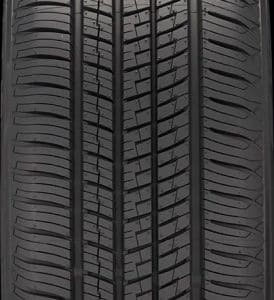 The slightly asymmetric tread pattern consists of three zones – one that focuses on dry grip and handling, another one that focuses on wet traction, and the last one which focuses on traction in the winter. Only by looking at the tire you can tell that it looks like three different tires mixed into one, and here that’s a good thing. Continuing with the feature list, there are large outboard shoulder blocks connected by tread block bridges for better cornering stability and handling responsiveness. The continuous center rib enhances straight-line tracking and high-speed stability, while the cross grooves and four circumferential grooves help with water evacuation and less hydroplaning. For longer tread life, Yokohama included their 3D Adaptive Sipes that improve tread block rigidity. The biting edges improve winter traction in light snow, making this tire a true all-season one. The strength of the tire is covered by twin steel belts inside reinforce by spirally wrapped nylon on top of polyester body plies. One of the most famous aspects of the Avid Ascend is durability. At the end of the day, this is a touring tire, so it’s expected from it to last for a long time. Yokohama gives one of the best warranties in the business – up to 85,000-mile tread life warranty, which is impressive, especially given the price. This is a tire that will easily last you for several seasons – Consumer Reports, for example, gives it 100,000-mile tread life estimation. I wouldn’t go as far as that number, but they should definitely last you for 60,000-miles. Impressive, even for a touring tire. And it’s not just that the Avid Ascend is very durable, it also keeps its tread pattern in the way. This means that it will not lose its performance even after several years of driving. A real long-distance companion. The Avid Ascend is certainly not the best handling tire out there, but it doesn’t even try to be that. For aggressive driving, you’ll need a high-performance tire. What it does is offering the driver with excellent traction in dry weather and short stopping distances. More experience sports drivers may find it a bit less responsive, but the casual driver will never notice the difference. In dry conditions, this tire is up there with the best in the premium category, even beating some more popular rivals along the way. Impressive considering the price. Driving in the rain will pose no problem to the Avid Ascend. It’s easily controllable in light and heavy rain, it resists hydroplaning very well, and it has short stopping distances. You may find better rain tires from the likes of Michelin, Bridgestone, and Continental, but I am pulling hairs here. For the casual driver, this is one of the safest rain tires out there and I have no qualms about recommending it. This is the area where most of the tires fall to the ground, and the Yokohama Avid Ascend is no exception to that rule. However, while others offer almost no traction in the snow, this one can provide you with safe driving at slower speeds. It seems that the Orange Oil technology really works in keeping this tire pliable at freezing temperatures, thus improving traction in cold and snowy weather. The Avid Ascend is popular for its low-noise performance and I can confirm that in my testing. This is one of the quietest tires out there – you will hear almost nothing in urban driving, and only a little tire roar when driving on the highway. Comfort is not as good though – I can think of several offerings from the likes of Michelin, Continental, and Goodyear that offer smoother ride over bumps. 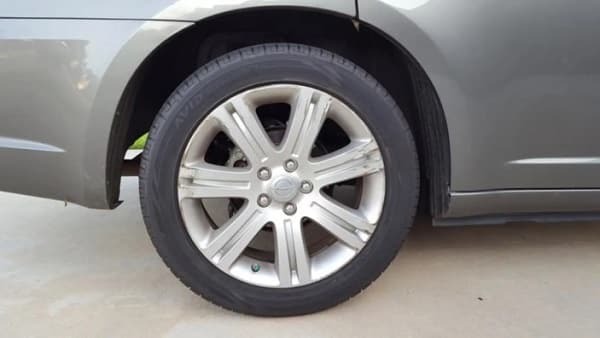 It’s not that the Yokohama is bad – most drivers would probably be fine, but if comfort is the highest priority on your list, this is not the tire for you. By now I think it is pretty obvious why the Avid Ascend is one of the most popular touring tires out there – it comes with almost no compromises, other than probably the less comfortable ride quality. It’s very quiet, it has very good performance in both dry and wet conditions, it even has some traction in the snow, and it lasts forever. Add to that the fair price and you have a very strong contender in the touring category. Thanks for reading and I hope you found this Yokohama Avid Ascend review helpful. If you have any questions or comments please feel free to leave them in the comments section below.